National Tractor Trailer School offers Class A CDL Training courses and schedules to suit the specific needs of students. The Commercial Drivers Course and a Advanced Commercial Drivers Course are designed for individuals with little or no previous commercial operating experience. The courses include either full-time or part-time training schedules. Each CDL training course includes classroom instruction, Commercial Driver License permit preparation, and behind-the-wheel time. The hands-on, behind-the-wheel training focuses on skills development for backing maneuvers, local street training, and CDL road test preparation and practice. The Advanced Commercial Drivers Course is designed for individuals with little or no previous commercial vehicle operating experience. This CDL course is completed on either an 18-week or 24-week class schedule. The course will allow the student to have a broader understanding of the skills and abilities necessary for a long-term, productive driving career. The longer course length maximizes student behind-the-wheel-time, skill development and practical application of these driving skills. Graduates of the Class A CDL training will go into entry-level positions as heavy truck drivers, tractor-trailer drivers, and owner-operators. 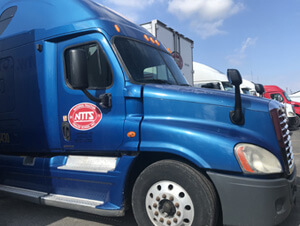 This Commercial Drivers Course can be completed either full-time on a 7-week or 10-week class schedule or a part-time schedule over 18 weekends. This Commercial Drivers Course is designed for students with little or no previous experience operating a commercial vehicle. This course follows the NTTS tried and true approach of theory and procedures in the classroom, demonstration of procedures and skill development in practical application behind-the-wheel. Graduates of this training for a Class A CDL have gone into entry-level positions as heavy truck drivers or tractor trailer drivers. This accelerated training course for a Class A CDL is designed primarily for individuals who have prior commercial driving experience or who will continue with additional on-the-job training. Students who have previously held a Class A CDL should consider this course. Training is conducted only at the NTTS Buffalo campus. A specially-designed course for military veterans is taught on-site at Fort Drum, NY. This CDL training is designed for Active Duty soldiers or separating service members with limited tractor trailer experience who wish to develop civilian tractor trailer experience. NTTS has contracted with the Department of Defense (DOD) with a Memorandum of Understanding (MOU) to train at Fort Drum, NY. Graduates of this program have gone into entry-level positions as heavy truck drivers, tractor-trailer drivers, and owner-operators once their military commitment is completed. The end goal for most students who complete a CDL training course are opportunities available for truck driving jobs. NTTS has chosen a select number of trucking companies that we’re proud to offer a partnership program. Our partners offer well-paying jobs and may provide tuition reimbursement to CDL graduates, too. See which driving opportunity fits you best. Complete the information requested and we’ll will be in contact with you.